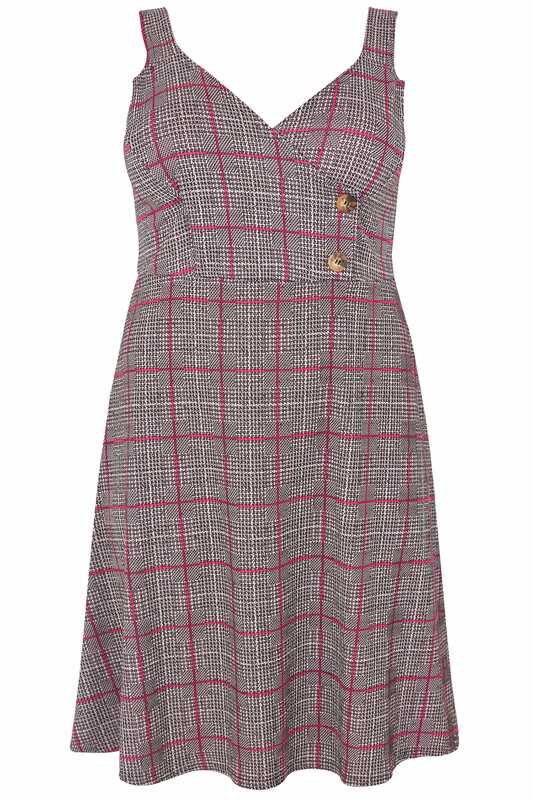 Add some cute to your casual with this stylish pinafore dress from our Limited Collection. 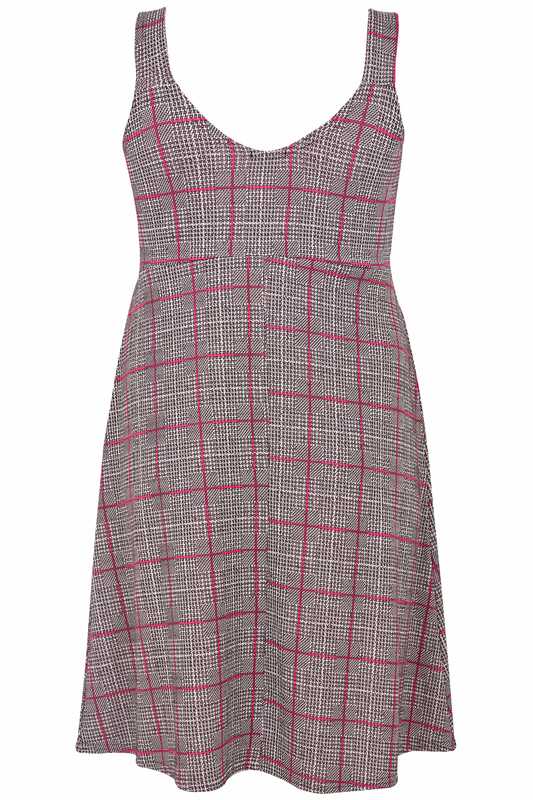 Classic yet contemporary, it features a timeless check print which has is updated with dashings of hot pink and horn button fastenings. 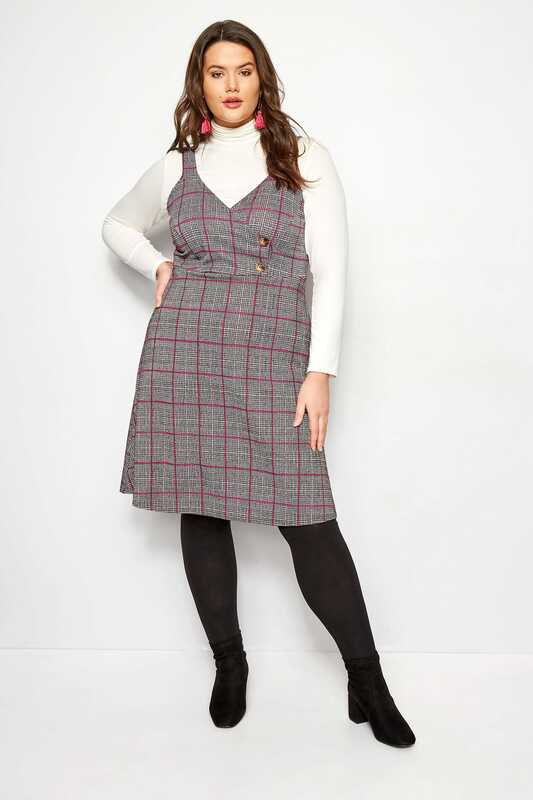 Ideal for weekend brunches and shopping trips, team with a jersey roll-neck, tights and ankle boots for a chic and stylish look. 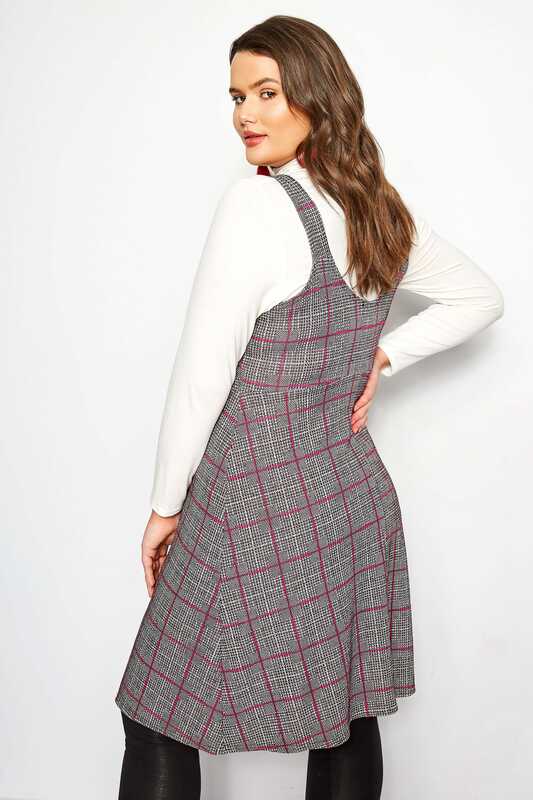 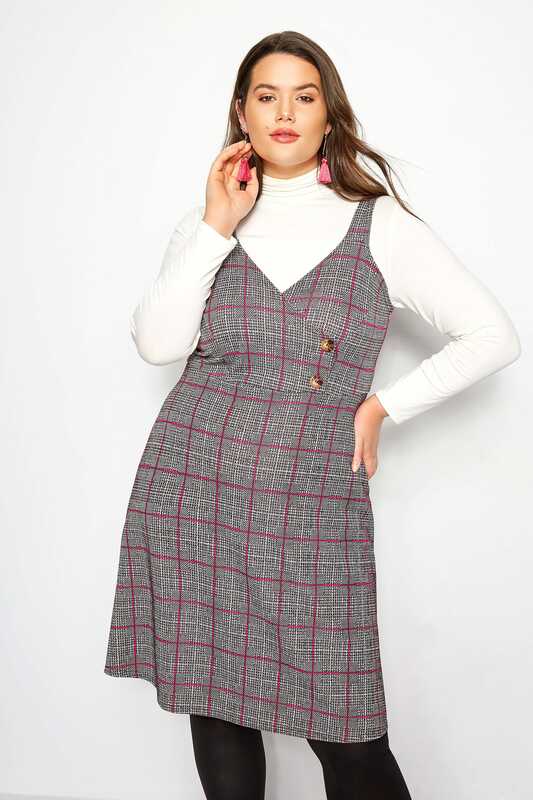 It’s safe to say the pinafore trend is far from boring!.